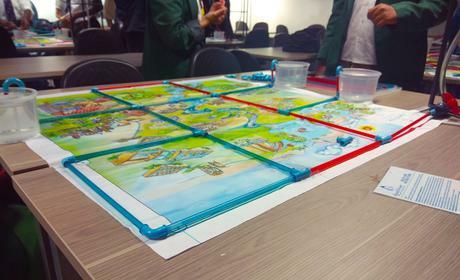 SAICE WC hosted the regional Aqualibrium competition at UCT on Saturday, 9 March 2019. 20 teams from different high schools across the region participated in the competition, which requires learners to build a gravity reticulation network that evenly fills multiple reservoirs. The learners enjoyed a tour of the Civil Engineering labs, and a demonstration of reticulation modelling software. The competition winners, the team from Claremont High School, will take part in the National Competition later in the year. Second place went to team 2 from Glendale Secondary. Third place went to the team from Pinelands High School. Thanks to UCT for hosting, the number of CPUT and UCT students for volunteering their time to assist, the SAICE branch committee volunteers, and to the learners and their teachers for participating.